While short and stunted children are very common in Bangladesh, the question that rarely gets asked is whether this typicality is normal. Parents' height is a major determining factor, but genes are not the whole story. In fact, the greater reason behind generations of undersized children has much to do with a silent epidemic called stunting, experts say. More commonly known as stunted growth, this is a reduced growth rate in human development a primary manifestation of malnutrition in early childhood. Once established, its effects tend to become permanent. Stunted children may never regain the lost height, and most children will never gain the corresponding body weight. Most of the malnourished and stunted children do not die, but suffer a different fate, nutritionists say. It is a multi-fold problem, say nutrition experts, and has much to do with poverty, hunger, food price, household nutrition insecurity, sanitary and hygiene conditions and inadequate dietary intake. Poor status of female education and general unhealthy behaviour of the people are also some other contributing factors. Deprived of crucial nutrients as children, they grow stunted and sickly in a country that still runs on manual labour. Many become intellectually stunted, struggling to learn or concentrate, inclining to drop out of school early. 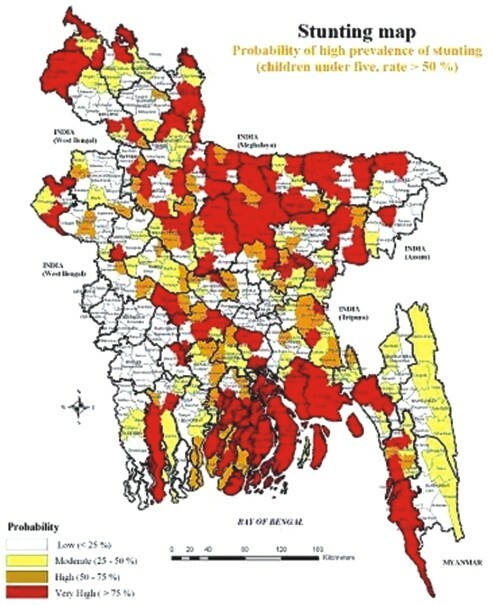 Despite growth and good government intentions, 43 percent of the country's under-five children are stunted, according to a 2007 Bangladesh Health and Demographic Survey. This means almost half of country's children are chronically malnourished. Many of the older children fail to surpass an adult's belt buckle and remain frequently sick with chronic weakness and regular diarrhoea. It is a chronic, lifelong, irreversible handicap that scuttles their future and cripples Bangladesh's hopes to join the rank of developed world, experts say. In most developing countries including in Bangladesh, the problem of “hidden hunger” is hidden from the victims themselves, so there is no pressure for change. The National Nutrition Programme of Bangladesh, which began in 2004, only covered some 25 percent of the population, and therefore was ceased earlier this year, according to sources at the Institute of Public Health and Nutrition. The programme would be replaced with Tk 1,400 crore National Nutrition Services (NNS) programme, which aims to bring down all forms of malnutrition by giving people access to necessary information, tools and supplies, the sources added. “Stunting seriously affects the intellect of children and also their productivity,” said Dr Ahmed Shafiqur Rahman, Associate Scientist at the Centre for Nutrition and Food Security of ICDDR,B. Most children suffer irreversible damage due to malnutrition by age two, long before they begin primary schooling. Nutritionists contend that efforts must concentrate on the brief window of opportunity before that age. The Unicef on 2009 pinpointed the first 1,000 days of a person's life as the key period in which to tackle the problem. It said promoting breastfeeding as the exclusive source of nutrition for the first six months and continued breastfeeding until at least two was essential. But Unicef said providing access to food supplements was also an important part of the solution. However, mothers in Bangladesh tend to eat less to leave more food for their older children, which affects their own health and harms the suckling child, they say. Culture also adds to the problem. In rural Bangladesh an attempt to improve nutrition by educating young mothers backfired, because the family diet turns out to be determined not by mothers, but by mothers-in-law, they added. Statistics say the country currently holds six percent of the world's total underweight children, just behind India and Pakistan in the list of top ten countries with the most number of underweight children. It is all a part of a vicious cycle, which begins with socio-economic problems that lead to maternal malnutrition, and consequently results in child malnutrition, nutrition experts say. It is a cycle that touches upon a wide range of elements of micro and macro level factors, which cannot be addressed by an individual authority. Therefore, coordinated efforts from different government bodies and agencies is vital in this regard; and it is also something that is lacking, experts said, adding that this is perhaps the biggest issue in the matter. All relevant authorities including the health ministry, food ministry, agriculture ministry, fisheries and livestock ministry, ministry of industry, women and children affairs ministry, local government bodies, among others should give united efforts and focus to the issue, they maintain. Above all, the problems need to draw the attention of the Prime Minister, as nothing would be implemented with the required zeal and sincerity unless the initiatives come from the very top, they added. Suppose I asked you to imagine a courtroom in which a stern judge peers with indifference at a baby and off-handedly condemns the infant either to death or a life shorter than her peers, with poorer cognitive capacity, more likelihood of disease and less ability to learn at school and earn as an adult. Of course, you would say this is unimaginable. What judge, or human being, would do such a thing? But this is what is happening to an estimated 180 million children under the age of 5, children whose bodies and minds are limited by stunting. 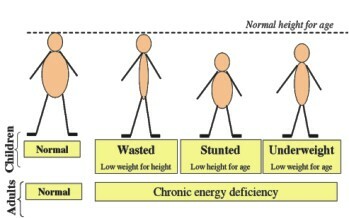 Stunting, or stunted growth, is the result of chronic nutritional deficiencies. A stunted 5-year-old is four to six inches shorter than a non-stunted peer. But lost height is the least of concerns: a stunted child, for instance, is nearly five times more likely to die from diarrhea than a non-stunted child because of the physiological changes in a stunted body. Stunting is also associated with impaired brain development. A typical stunted brain has fewer cells. The cells themselves are somewhat smaller, and the interconnection between them is more limited. This means lasting impaired functioning, which leads in turn to significantly reduced learning. Considering the severe effects, stunting has received far too little attention for far too long. But if you haven't heard of it, you're not alone. When I recently mentioned stunting at a meeting of hundreds of medical experts, I could see a large number of puzzled faces in the audience. To my astonishment, less than half the audience, in a show of hands, had even heard of it. The physical and cognitive damage caused by not receiving enough of the right type of nutrients, especially in the first two years of life and also in utero, is permanent. It cannot be treated. But it can be prevented and at relatively little cost. Stunting is so common in some areas that it is sometimes mistaken for a genetic heritage, rather than a preventable condition. Just 21 countries straddling the globe account for more than 80% of the problem around the globe. In six countries Afghanistan, Burundi, Ethiopia, Madagascar, Timor-Leste and Yemen 50% or more of all children under age five suffer from this condition. In Afghanistan, a staggering 59% of children under age five are stunted. In 2008, the Copenhagen Consensus of leading economic experts ranked providing young children with micronutrients as the most cost-effective way to advance global welfare. Thanks to the leadership of many governments, economic growth in some countries and the Scaling Up Nutrition movement, there has been progress. The prevalence of childhood stunting in the developing world decreased from 40% in 1990 to 29% in 2008. In just the last year, the number of countries starting to implement national strategies to reduce stunting has increased. But we have a long way to go. 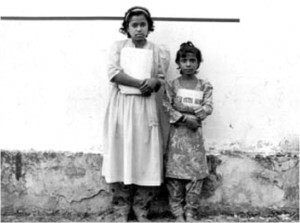 Suppose the 180 million young children who are stunted all lived in one region. Wouldn't we see this as one of the greatest emergencies in the world? 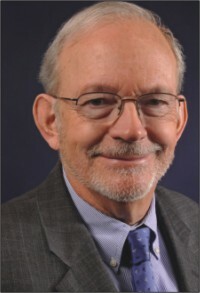 Lake is the executive director of the United Nations Children's Fund. The views expressed are solely his own. The nation is incurring huge economic loss due to reduced productivity of a large chunk of youth as they have been suffering from stunting since childhood, said noted nutrition expert Dr Ahmed Shafiqur Rahman. Around 43 percent of children aged below five are suffering from stunting in Bangladesh, he said. "Stunting negatively impacts the GDP as it reduces physical and cognitive growth, productivity and earnings of workers, and results in economic loss to the country," he said. The rate of stunted children is comparatively higher in rural area than in urban. The rate of stunted of the total children aged below five is 45 percent in rural area, while it stands at 36. 4 percent in the urban, said Dr Rahman, associate scientist of International Centre for Diarrhoeal Disease Research, Bangladesh (ICDDR,B). When the potential of child's growth faces a halt, it can be considered as stunted, he defined. The main reason for stunting is malnutrition which is a common phenomenon in Bangladesh. Shortage of balanced diet and animal protein causes children to suffer form malnutrition. 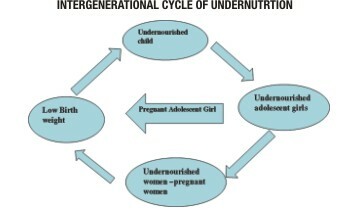 Inappropriate Infant and Young Child Feeding (IUCF) is the another reason for suffering from malnutrition. Children under six months are suggested to have only exclusive breast feeding. But only 43 percent under six months across the country are properly provided with exclusive breast feeding as mothers are not properly aware of it. "Mothers think that breast feeding are not enough for child. They give other types of food to children earlier. In many cases, newborn children are given pre-lacteal. This may cause health complications for children," he said. After six months, children should be given complementary food. But in Bangladesh, 22 percent children do not get proper complementary food in time. They start getting complementary food much later, he said. Children do not get minimum acceptable diet, minimum food group and minimum food frequency. That is why they suffer from stunting, malnutrition, iron deficiency and anaemia. Around 92 percent of the children aged between 6 and 11 months are anaemic, while around 68 percent of those aged between 6 and 59 months. High infection, diarrhoea and respiratory diseases are another reason for stunting. Simple interventions like hand wash by soap before taking food and after using toilet can reduce diarrhoea. A malnourished mother has high risk of giving birth to a malnourished child and she may face complications at delivery. Stunting and malnutrition are closely related to poverty. This complicity prevails in poor households in large scale. Around 54 percent children of poor families suffer form malnutrition, while 36.3 percent of non-poor families also suffer from it. Talking about the government policy initiatives, he said no government initiative has been taken till now focusing on stunting. Maternal and Young Child Nutrition Security in Asia (MYCNSIA), a joint action of EU-UNICEF in collaboration with the government has been taken to improve feeding system of mother and children and home fortification of complementary foods with micronutrient supplements for children in the country. Terming stunting a 'national issue', Dr. Rahman stressed the need for multi-ministerial collaboration to address the issue. "An effective initiative should be taken from the Prime Minister's Office bringing different related ministries under a common platform to address the issue," he said. As stunting has emerged as an awesome barrier to children's health in the country, the government has laid maximum emphasis on addressing the issue on an urgent basis, said Prof. Dr. Md. 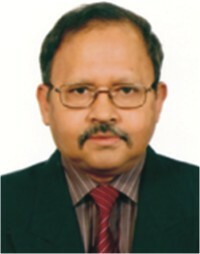 Ekhlasur Rahman, Director of the Institute of Public Health Nutrition (IPHN). Terming malnutrition the root cause of stunting, he stressed the need for mitigating malnutrition to check stunting. 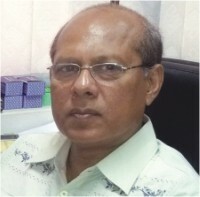 If a child is deprived of exclusive breastfeeding before the age of six months and cannot get adequate complementary food thereafter, the child will surely suffer from stunting, said Dr Rahman, also the Line Director of the National Nutrition Services under the Ministry of Health and Family Welfare. A malnourished mother bears the high risk of delivering a malnourished child. Subsequently, the child will suffer from stunting as a malnourished child faces halt in growth. Repeated infection caused by lack of practicing personal hygiene is another key reason for stunting. “If those problems can be addressed effectively, the problem of stunting will surely be resolved automatically,” he said. Aiming to address the issue, the government has initiated the National Nutrition Service (NNS) in July last year that will continue till 2016. The programme has 20 prioritized objectives among which improvement of Infant and Young Child Feeding (IYCF) stands at the top. Under the programme, the government will appoint at least one medical officer (public health and nutrition) each at 347 upazilas to monitor the nutrition services, he said. Units to address Severe Acute Malnutrition (SAM) will be started very soon in 12 medical colleges, seven districts and 14 upazilas. Besides, doctors will be provided a five-day training in phases to enhance their skills to deal with SAM patients. Aiming to address moderate malnutrition, the government has selected around 2,700 community clinics at 116 upazilas across the country. Around 8,100 'multipurpose volunteers' will be appointed to address malnutrition and other nutritional activities, Dr Rahman added. In response to another question, he said the government's previous National Nutrition Programme (NNP) that ran from 2002 to 2011 could not secure expected result due to lack of coordination. The programme did not utilize the infrastructure and manpower of the Directorate General of Health Services and the Directorate General of Family Planning. That is why, the national nutrition issue could not be addressed properly through that programme. He also stressed the need for multi-ministerial collaboration and cooperation to address the issue effectively. Residents call it the Kallayanpur Porabasti - meaning burnt down slum - and that's exactly what has happened to it on this occasion. Its 2,250 households have also become targets of repeated eviction attempts by the government. Here, you will find five people living in a 10x10ft room, where illnesses and diseases can be easily transmitted from one person to another. Malnutrition is another problem, with some of the slum's children distinctly thin and lacking energy. Five-year old Nupur is just one case. Sick from birth, she suffers from colds, diarrhoea and fever; she is clearly underweight, and spends her days lying in bed rather than running around outside and playing with the other children. Nupur was born with a low weight and wasn't exclusively breastfed; the supplementary food she was given may have been of questionable quality. Ideally, she would have been making regular trips to the doctor over the past years, but the costs for a family in the slum are prohibitive. “I worry about my child, she's getting more and more sick” says Nurjahan, Nupur's mother. “I just can't provide good food for her.” She tries: the three meals a day usually consist of fish, daal, rice and vegetables, but in Nupur's case, the food seems to be less the problem than her appetite. Gazing on at her neighbour-friend, she can only watch as that girl bites into a tomato; when offered it herself she weakly shakes her head. Nurjahan has a permanent job and earns 700 taka per month as a housemaid, but that could be in jeopardy if she continues taking time off to look after Nupur. Her husband, Noor, has been sick for two years with kidney problems. Her 13 year old son, Shamim, works in a poultry shop instead of going to school, and brings home 1500 taka each month. When a mother does manage to get her sick child into regular medical treatment, the results can be significant. 40 year old Amina Begum also lives in the Kallayanpur slum. Sajjad, her nine month old baby boy, was fine for the first three months but then started suffering from recurring illnesses colds and fevers. In Amina's case however, she took him straight to the public children's hospital, and they have been going for regular treatment twice a month for the past four months: “It's just 20 taka per visit, but then 500-700 taka for the medicines” she says. Sajjad is still slightly underweight at 6 kg but has more energy than the other sick children. The hospital too has its downsides: there are long queues, putting the (usually) one doctor under tremendous pressure. There's no time for in-depth conversations about the baby's ongoing health condition, something that frustrates Amina. One thing both these children have in common is that they are over the age of 42 days. In Dhaka, there are NGO services to help those under this age, and their mothers, or those much older pre-teens and adolescents. But from three and a half months to the age of five there is a gap in care. This is at a time when 95 out of every 1000 children born in the slums dies before reaching the age of 5. This year's State of the World's Children report says that Bangladesh ranks 61st on the data available for more than 190 countries, on the under-five mortality rate. Most mothers who live in the slum do not get the services of a skilled birth attendant at delivery.